Coming off of a series sweep at Penn State last weekend, the No. 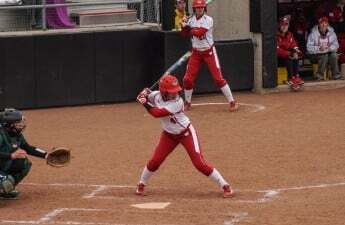 25 University of Wisconsin Softball team (27-5, 4-2 Big Ten) returns to the Goodman Softball Complex this weekend to host the Iowa Hawkeyes (15-15, 1-5). The Hawkeyes are currently on a five-game losing streak after being swept by Northwestern last weekend. Iowa’s inconsistent play and lack of experience versus ranked opponents could work in Wisconsin’s favor as the Badgers look to take advantage of their first Big Ten series in Madison. In particular, look for the Badgers’ seemingly unhittable pitching staff to assert its dominance over an already lacking Iowa offense. Top hitters for Iowa include Donirae Mayhew and Mallory Kilian, who are recording batting averages of .310 and .298, respectively. Iowa has two above-.300 hitters in Cameron Cecil and Mayhew, while Wisconsin has six hitters above that threshold, including two who are hitting above .400 in Kayla Konwent and Taylor Johnson. There will again be a “foot on the gas” mentality from Head Coach Yvette Healy, as the Badger offense has already outscored their opponents 218-60 so far this season. 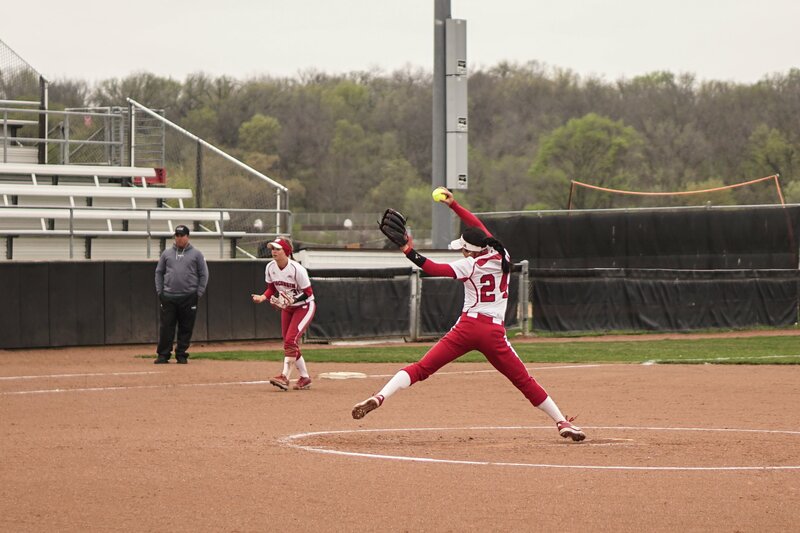 Wisconsin will also seek to continue the outstanding pitching it has produced in 2019, in particular from sophomore Haley Hestekin. Hestekin may have the highest ERA on the team, but it is still drastically low at 1.65, illustrating just how productive Wisconsin’s pitching core has been. She also leads the team in strikeouts and innings pitched with a stellar 12-3 record. As for Iowa’s pitching staff, Allison Doocy will be a go-to for the Hawkeyes in this series as she tries to control the Wisconsin offense. She leads the Hawkeyes with a 1.75 ERA. She sits at 12-7 on the year with 130.3 innings pitched and 128 strikeouts. 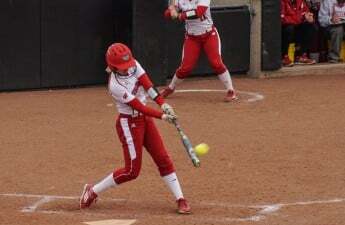 Wisconsin will host Iowa at the Goodman Diamond Friday at 5 p.m., Saturday at 1 p.m. and Sunday at 3 p.m. Sunday’s game will be broadcast on the Big Ten Network. Follow live stats for all of the games at uwbadgers.com.